How does a woman with so many political liabilities, criminal allegations, physical deficits and foreign policy blunders run for president? Why would the Democrats nominate such an inferior, first-woman-ever presidential candidate? By all accounts Hillary R. Clinton is an extremely flawed presidential nominee. Her numerous medical ailments and health crises makes her unfit for any national office, much less the POTUS. Her never-ending trail of scandals is enough to sink any other politician’s ship anywhere on planet earth. Her complete lack of transparency, dissembling ways and pathological prevarication bespeak a character that is totally untrustworthy. Her foreign policy disasters at State are evident by the overwhelming calamity that the whole Middle East has become, especially the Northern Levant. 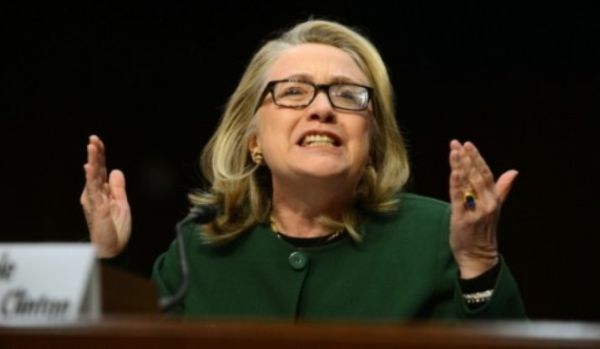 Emailgate, Servergate, Benghazigate, Travelgate, Whitewatergate and even Watergate haunt her. And these are only a few of the scandals which continue to tarnish her image as no other candidate in U.S. election history has experienced, particularly a presidential aspirant. What is extremely important to point out is that NONE of these alleged crimes and ethical violations has been resolved; hence, they each hang over her head like the Sword of Damocles. In this way can she be very easily manipulated by her clandestine handlers and true masters. Just like the malevolent Manchurian Candidate Barack Hussein Obama, the United States would see another four years of political, social and economic cataclysm with a Clinton presidency. Whenever the leader of the most powerful government on Earth has been shoehorned into their position with so much baggage, they are obviously backed by the most influential individuals and power groups on the planet. This World Shadow Government (WSG) has seen to it for many reasons that Hillary Clinton would be their presidential pawn just as Obama has been. She has received critical lifelong programming to proceed with specific plans which will advance the New World Order (NWO) agenda in a way that no one else can do. Even Clinton’s many sordid scandals and heinous crimes play directly into the WSG scheme. You see, when such a compromised character has been invested with so much power as the POTUS, the populace is easily conditioned to believe that she can get away with just about anything … and we mean ANYTHING … ANYTIME … ANYWHERE. This type of predictive programming sets up the whole nation to expect a new level of blatant government corruption, financial malfeasance and political betrayal. Clinton’s reputation well precedes her installation as POTUS, so why should her criminal conduct change once she is directing the ship of state?! This strategy of putting exceedingly flawed women into positions of great power and political prominence can be observed with the selection of Chancellor Angela Merkel who was chosen to destroy Germany, devastate Europe and collapse the European Union (EU). No one else could get away with the utter destruction that Frau Merkel continues to wreak upon the Continent. Not only is Ms. Merkel clinically insane, she is also the product of the same type of mind-control programming as Ms. Clinton. Next up Theresa May of Great Britain’s Conservative Party who was recently installed as Prime Minister. She was specifically selected to lead the United Kingdom out of the European Union in the wake of BREXIT. The dual process of EU destruction and UK devastation can only be conducted by someone who has been meticulously trained and mentored to do so. A quick review of her political history reveals a woman not too unlike the redoubtable Margaret Thatcher. In this regard May can be counted on to sign and enforce whatever draconian measures that will be necessary to oppress the people and keep popular movements in check, among many other acts of outright repression. Then there is the Managing Director of the International Monetary Fund (IMF) Christine Lagarde. Similar to Clinton, she has been under intense legal scrutiny for much of her term at the IMF. Lagarde is currently charged with fraud and embezzlement and will shortly stand trial … while she continues to administer one of the most powerful international lending bodies in the world. Again the Sword of Damocles hangs over her head daily in order to ensure that she will execute her often dubious duties in a manner that pleases her masters. They are the very same NWO globalists who are lording over Clinton and Merkel. The ascendancy of Debbie Wasserman Schultz *(DWS) presents further evidence of this trend to install extremely corrupt women into prominent positions. As the former DNC Chair, DWS showed no reservations whatsoever to abuse her power and misuse her influence to secure the nomination for Clinton. To the very end of her tenure she demonstrated a willingness to steal the primary from Bernie Sanders in the interest of crowning Hillary queen. Even in the seedy world of Democratic political corruption, no one has ever seen anything even close to her criminal conduct. The Democratic Party has also seen the meteoric and unlikely rise of Senator Elizabeth Warren among the leadership ranks in the Senate. 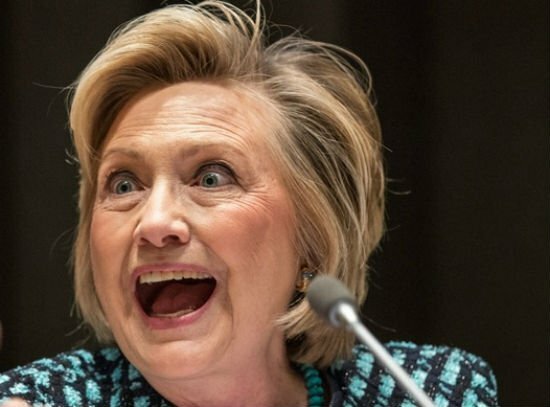 Not only has she come out fiercely against the nationalist Donald Trump, she has also carried water for the Clinton Crime family like no one else during this campaign season. Warren is both an unapologetic devotee of all things Israel and far leftwing extremist who will take no prisoners should she be appointed to a Clinton cabinet. Given where she started as a progressive activist, her unusual willingness to compromise her principles shows no limits. After all, she backs the inveterate warmonger Hillary Clinton. House Minority Leader Nancy Pelosi is another woman who was quite purposefully installed into her leadership position at a critical time. A close listening to her various positions and political posturings reveals a personality so unstable and unfit to serve in public office that her selection must have been predicated on her career-long displays of shocking irrationality and abiding instability. Pelosi will always be remembered for her stunning statement about passing Obamacare; ‘that it must be passed so that the bill could then be read’! There is a plot afoot to establish a One World Government via the incremental introduction of global governance policies that are being implemented under the rubric of the United Nations Agenda 21 and the 2030 Agenda for Sustainable Development. Both of these NWO stealth initiatives have been surreptitiously advanced under the radar by utilizing the ongoing United Nations Climate Change Conference and other major international efforts and organizations. However, it is by using the bought-and-paid-for politicians like Hillary Clinton, Angela Merkel, Elizabeth Warren, Christine Lagarde, and many others, that the most powerful countries within the world community of nations are being led to their dissolution and doom. These dyed-in-the-wool NWO politicians only seek to eliminate national sovereignty and territorial integrity in the interest of forming totalitarian superstates like the EU, which can then be easily ruled by a One World Government superstructure. This is why women are being selected across the planetary civilization—to put a female face on the evils of globalization. Just as Madeleine Albright and Condoleezza Rice were appointed as Secretary of State to promote wars of unprovoked aggression, so, too, was former SOS Clinton, and especially her Deputy Secretary Victoria Nuland who single-handedly instigated the cataclysmic Ukraine Civil War. Such is the handiwork of this NWO crowd as they work feverishly to rearrange the entire global geopolitical chessboard to their liking. 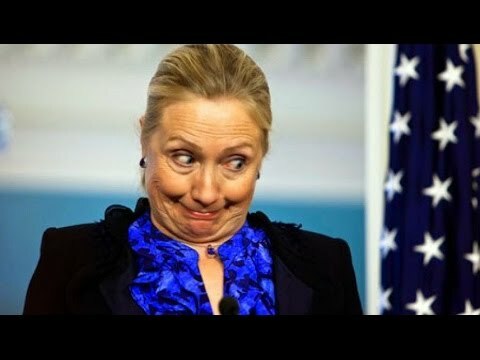 The following video captures one more egregious example of Hillary’s bizarre and concerning behavior that cannot be overlooked. Why is the Clinton Emailgate Scandal so HUGE?